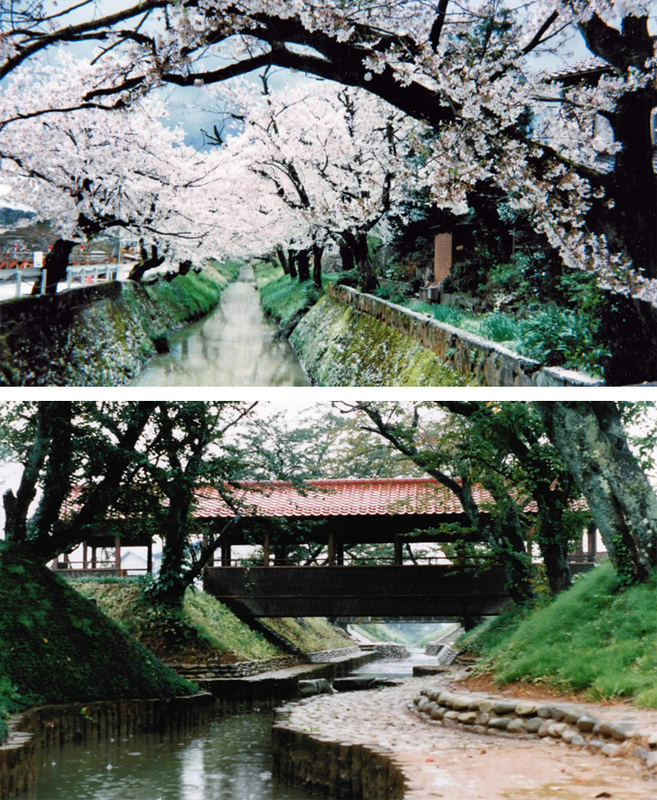 Daishoji Park is set in a town characterized by a complex hierarchy of waterways, one of which is a beautiful cherry tree-lined stream that bisects the park. 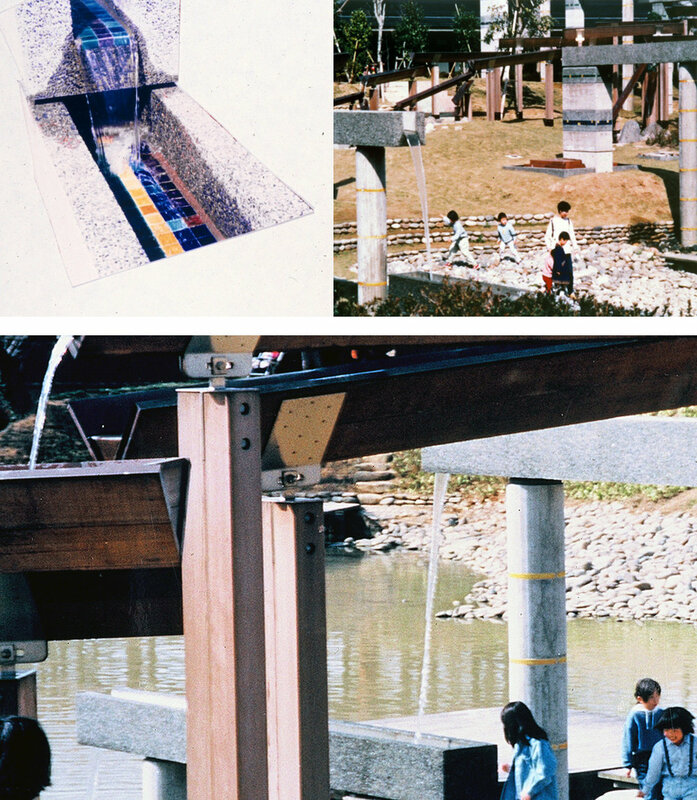 We introduced a covered bridge, along with riverside walkways, so that people could be in the space of the tree-covered river and get close to the water. We also diverted the stream through a landscape of water-purifying grasses to clean the water and restore aquatic life. 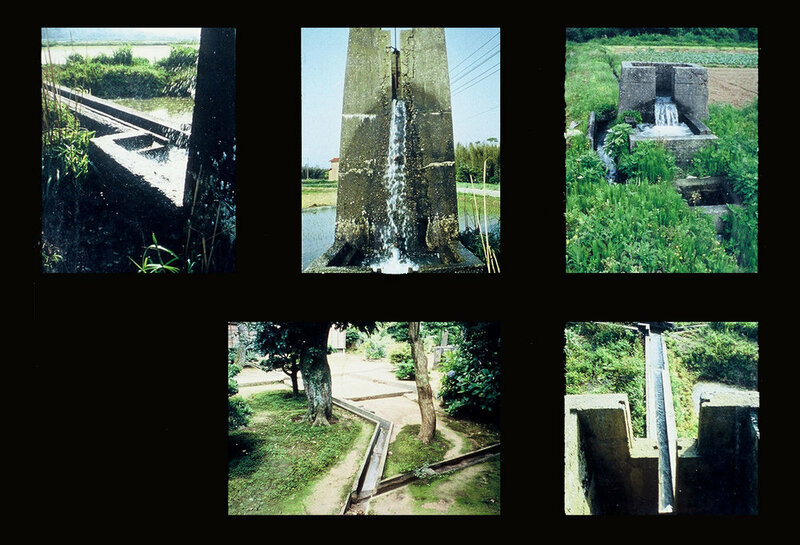 In Daishoji, it rains more than 200 days out of the year, so water channels of all sizes weave throughout the town and surrounding rice fields to direct the flow of water. 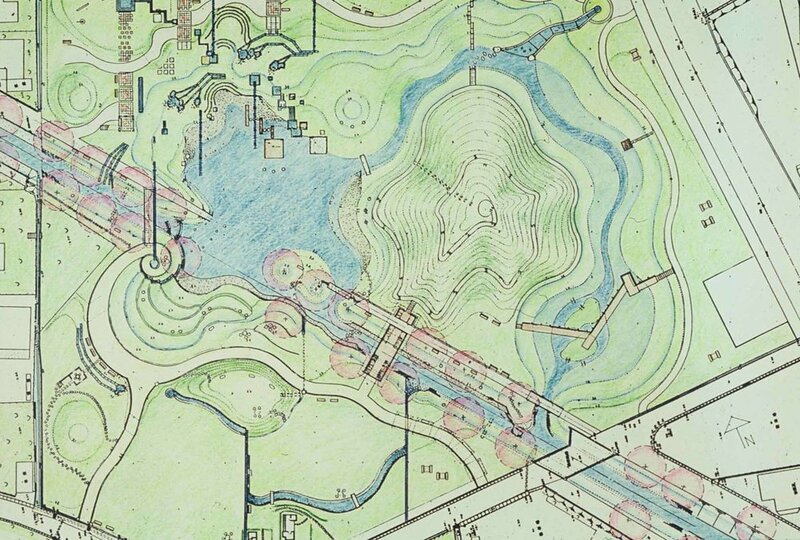 We chose to celebrate this elaborate system of water channels by continuing them into the park. Water channels low to the ground and high in the air, weave through the park and cascade down to the stream. 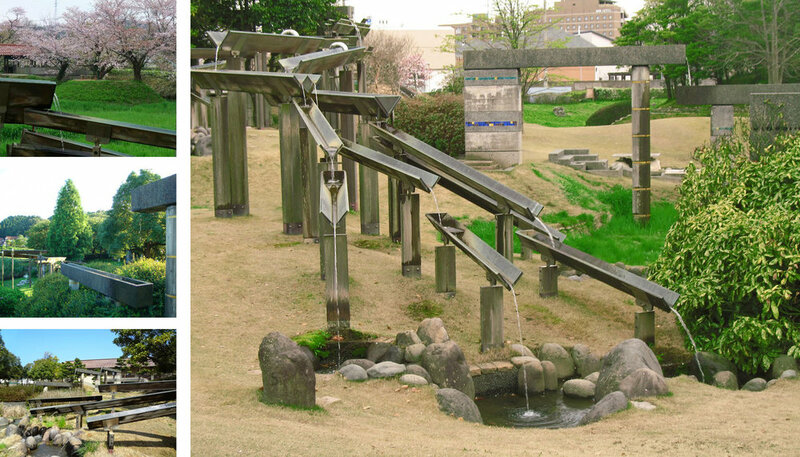 Daishoji is the birthplace of ancient Kutani pottery and a Kutani Pottery Museum was planned to open onto the park. To link with this tradition, we invited local Kutani potters to make tiles, using the unique Kutani colors, decorating the channels, pools, and walls of the park. 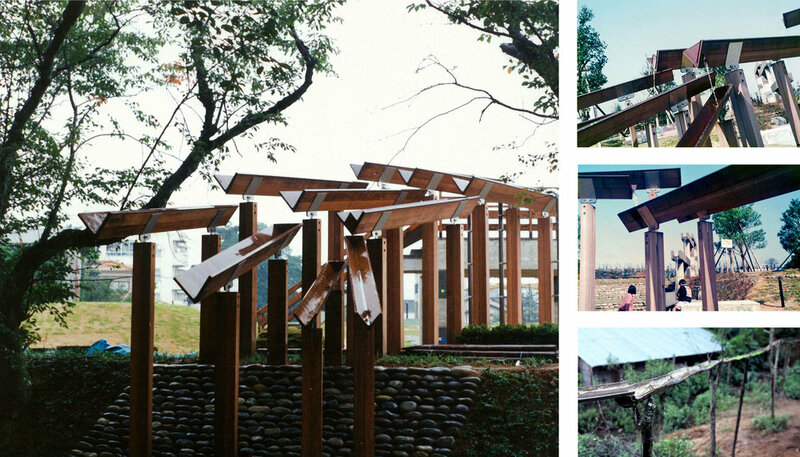 We also designed the park walkways to reflect traditional Kutani ceramic designs. A wall built as a backdrop for performing traditional tea ceremonies is also adorned with Kutani colored tiles, and is used often by the townspeople. 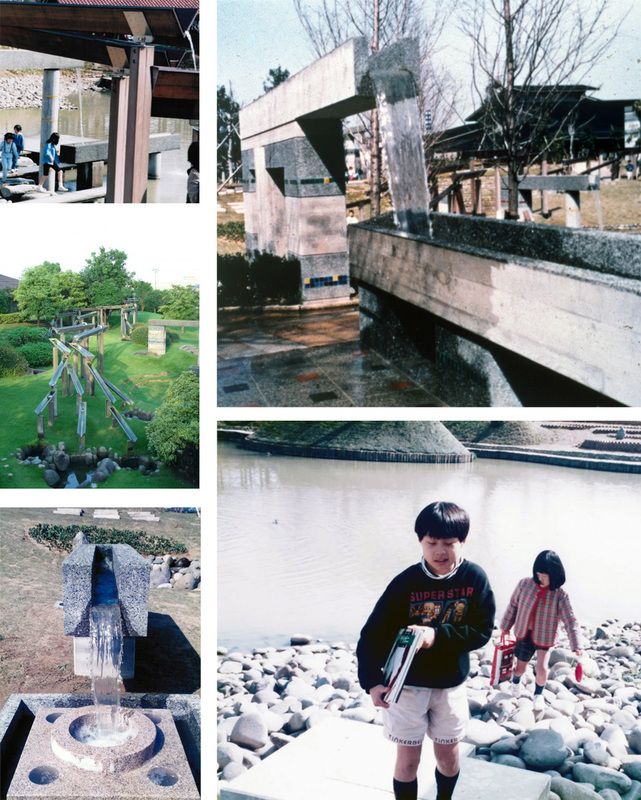 The park has succeeded in honoring what is particular to the town of Daishoji, by bringing together local tradition, history, craft, landscape, water and people in a new public place that celebrates all of these. 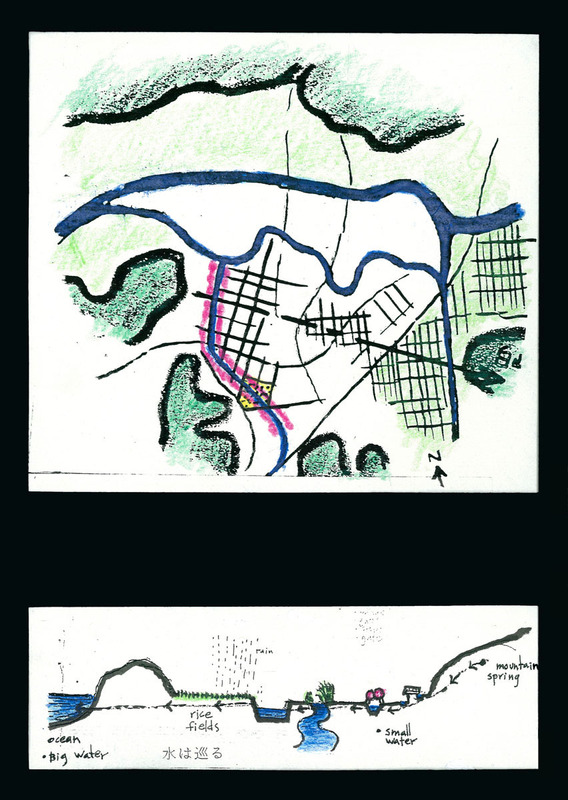 Tina Govan, Project Architect, Atelier Zo, Japan.